I've been making wedding favor samples for a few people. I thought I would share the ones that didn't get chosen...until after the Big Day. This favor holds 2 Hershey's Nuggets. 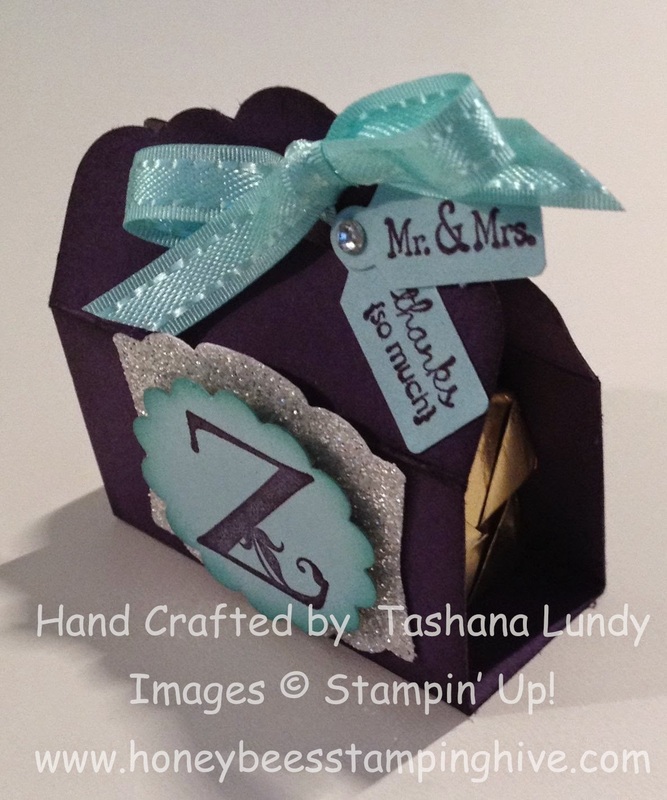 I used Pool Party and Elegant Eggplant for the colors with Silver Glimmer paper for a little sparkle.